Catering for your next business meeting is easy with Yordar! Say goodbye to boring sandwiches and live a little, try our delicious sushi platter catering, pizza catering, yum finger food or even burgers to make that next office catering function more unforgettable. Check out some of our corporate catering options in Perth and see below our caterers menus. 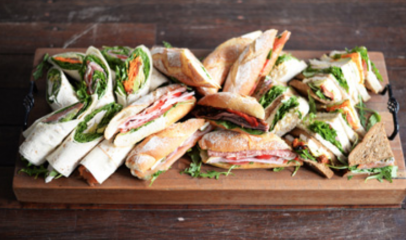 Our system is so simple to use and place your corporate catering order directly to your office. Punctuality is guaranteed and taste is a given!